If you are a vegan or a vegetarian it’s important to ensure that your diet includes an adequate amount of complete proteins to meet your dietary needs and prevent nutritional deficiencies. Protein is used in every single cell in our bodies. 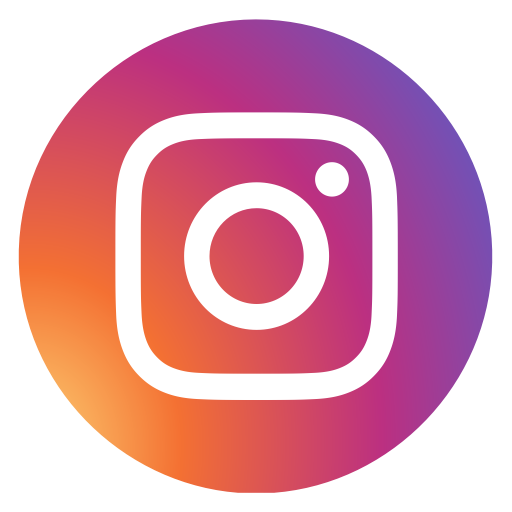 It’s a source of energy and it plays an important role in the growth and repair of bodily tissues, neurological function, transportation and storage of molecules around the body including oxygen, nutrients, and waste products. Protein is also involved in the production of enzymes, hormones, and antibodies. It can be found in your hair, nails, outer layers of your skin as well as in the inner structure of your bones. Protein molecules are made up of amino acids, which are further divided into essential – those that cannot be produced by the body and must be obtained from food, and non-essential – those that are naturally occurring and can be produced in the body. The term complete protein (or whole protein) refers to a protein molecule which contains all of the nine essential amino acids (histidine, isoleucine, leucine, lysine, methionine, phenylalanine, threonine, tryptophan, and valine) in sufficient quantity to meet the body’s needs. Soybeans are a type of legume, native to East Asia, that contain all of the essential amino acids necessary for human nutrition. One cup of cooked soybeans contains around 29 g of protein. Research has shown that soy protein can help lower total cholesterol, LDL (‘bad cholesterol’) and triglycerides. It’s been also found that soy consumption during the postmenopausal period in women may improve hot flashes, maintain bone density and decrease the risk of fractures. Furthermore, soybeans contain antioxidants and phytonutrients that have been linked to various health benefits including protection against prostate cancer. They are also a good source of several vitamins and minerals such as vitamin K1, folate (B vitamin), copper, manganese, phosphorus, and thiamin. Common food preparations include edamame (whole soybeans), tofu (soybean curd), soy milk, soy flour, tempeh (cooked and fermented soy), miso (fermented soybean paste), soy sauce and soybean oil. Hemp is a variety of the Cannabis sativa plant species similarly to marijuana. Never the less, do not expect to get high on hemp seeds, as they contain only trace amounts of tetrahydrocannabinol (THC), the compound that causes the drug-like effects of marijuana. 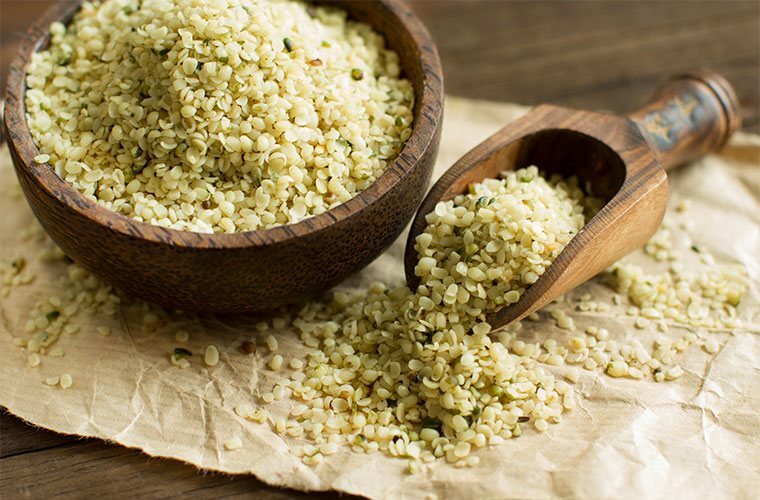 There are approximately 5 g of protein per tablespoon of hemp seeds. Hemp seeds can be consumed raw, cooked or roasted and are a good source of fibre which promotes better digestion. They are also among the best plant-based sources of the heart-healthy polyunsaturated fatty acids: Omega 3 (alpha-linolenic acid) and Omega 6 (linoleic acid). Hemp seeds contain various vitamins including folate and other B-vitamins, vitamin E, and vitamin D as well as minerals such as iron, zinc and magnesium. 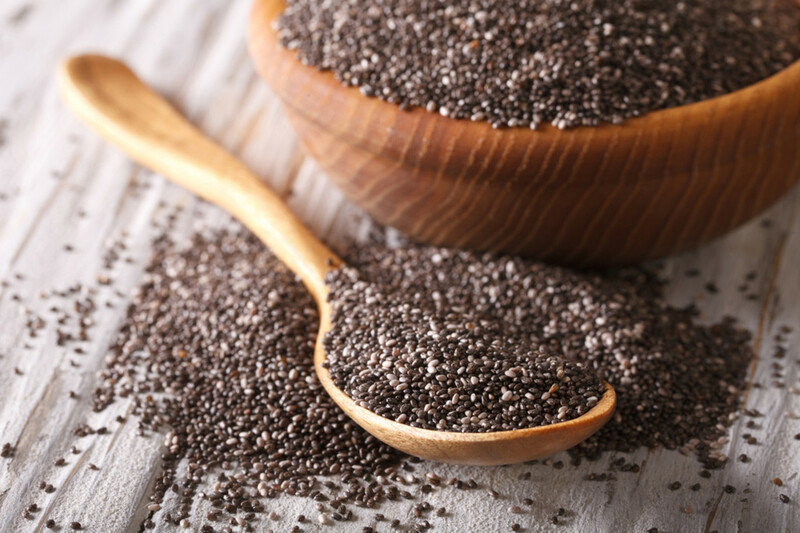 Chia seeds are another good source of Omega 3 and Omega 6 fatty acids, linked to improved cardiovascular health. They provide 2 g of complete protein per tablespoon. In addition to containing high-quality protein, they are an excellent source of fibre, mostly insoluble fibre which has been associated with reduced risk of diabetes. Chia seeds are high in a number of minerals including manganese, phosphorus, copper, selenium, iron, magnesium and calcium. They can be soaked in liquid, added to porridge, made into pudding, used in smoothies and baked goods as an egg replacement, or simply sprinkled on top of salads or yoghurt. Amaranth seed (also referred to as ‘grain’) is naturally gluten-free, and a great source of protein and dietary fibre. 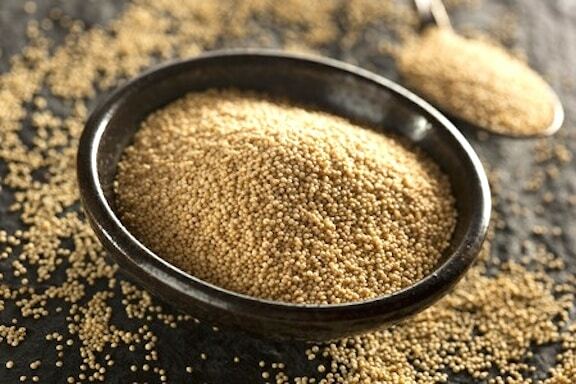 One cup of cooked amaranth grain contains 9 g of protein. It also contains vitamins such as folate and minerals including calcium, manganese, magnesium, iron and selenium. Potential health benefits of amaranth include inflammation reduction and alleviation of inflammatory related conditions such as arthritis and gout. Its consumption has also been linked to maintenance of healthy cardiovascular, bone and digestive health. A nutritious whole grain containing all nine essential amino acids. One cup of cooked quinoa contains 8 g of protein. Quinoa is gluten-free and a great substitute for rice. Full of fibre, iron, zinc, calcium, magnesium, manganese as well as B-vitamins. Contains the flavonoids (plant antioxidants) quercetin and kaempferol which, according to research, may have anti-inflammatory, antiviral, anti-cancer and anti-depressant properties. 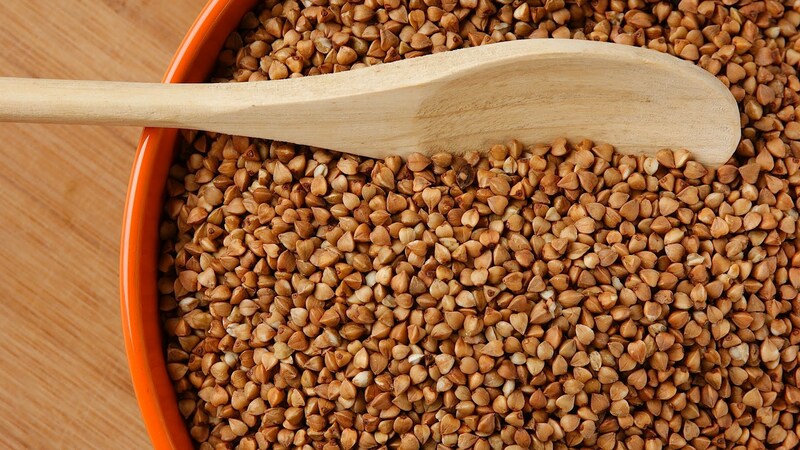 Buckwheat seeds also referred to as ‘groats’ are gluten-free and nutrient-packed. One cup of cooked buckwheat contains 6 g of protein. A source fibre, vitamins and minerals such as manganese, copper and magnesium as well as antioxidants such as rutin, tannins and catechin. Buckwheat consumption has been shown to improve blood sugar level control, lower cholesterol, reduce hypertension and aid digestion by relieving constipation. Buckwheat flour is great used for making of muffins and bread. Spirulina is a type of naturally occurring blue-green algae (cyanobacterium) that grows in both salty and fresh water. It’s a source of complete high-quality protein, with 1 tablespoon of Spirulina containing 4 g of protein. Spirulina is also a source of B-vitamins, and minerals such as calcium, potassium, niacin, magnesium and iron. Studies have found that it has antioxidant properties which could help in the prevention of DNA damage from oxidative stress and thus reduce the risk of cancer and other inflammatory diseases, including heart disease. If grown in unsafe conditions, Spirulina may become contaminated with toxic metals, harmful bacteria and microcystins — toxins produced from some algae. Contaminated Spirulina can cause liver damage, nausea, vomiting, thirst, weakness, rapid heartbeat, shock and even death. Women who are pregnant or breastfeeding should avoid Spirulina since there is a lack of safety studies in this group. According to the National Institution of Health (NIH), people who have the genetic condition phenylketonuria, as well as those with autoimmune diseases should also avoid Spirulina. Due to lack of studies on the safe dose range of Spirulina, it is best to consult a doctor and follow instructions on all supplements. The NIH recommends researching the source of Spirulina in supplements to ensure they are grown in safe conditions and tested for toxins. For example, the NSF seal indicates that the seller uses Good Manufacturer Practices, a set of quality guidelines set by the National Sanitation Foundation.